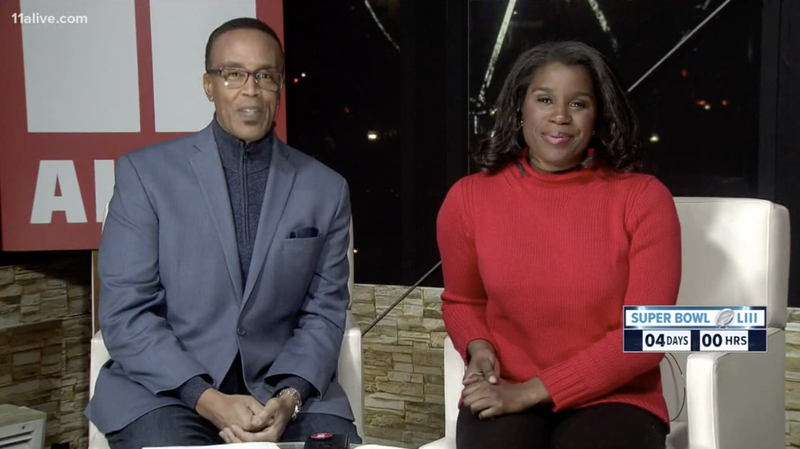 WXIA, the Atlanta NBC affiliate, is offering extended coverage of Super Bowl LIII from a temporary setup in Centennial Olympic Park, which is part of the “Super Bowl Live” experience. 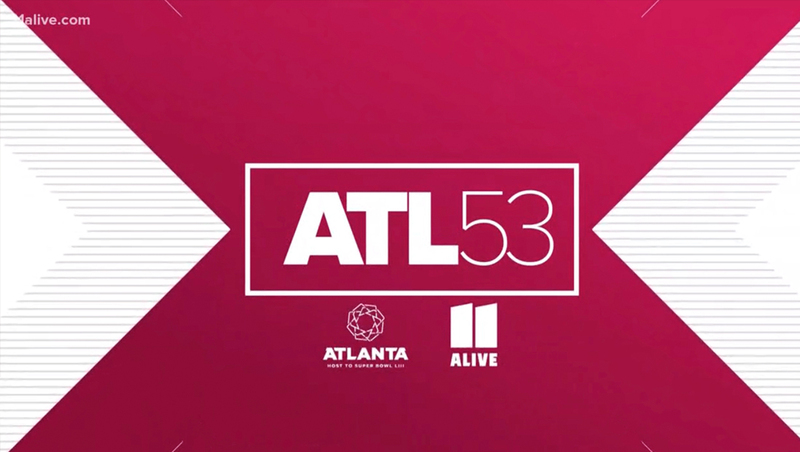 Special “ATL53” branding that avoids the use of the “Super Bowl” trademark and incorporates the station’s new logo also features two pointed triangular elements, which could be an abstract interpretation of the the shape of the ends of a football or the virtual markers often inserted on football fields. The station also created a small broadcast booth with its logo, faux stonework and a view of the park as well as a variety of seating configurations all packed into a tent-like structure.